Russell and Hill are here for you. Call us at 1-888-399-0921 and ask to speak with Dustin Burk, and let's start figuring out the best way to get this personal injury case behind you. Personal injury accidents can happen anytime and anywhere. Whether you’re in the workplace, on the road, or simply walking down the street, the possibility of an accident is imminent. If you have found yourself suffering from an injury caused by a car, truck, physician’s malpractice, work negligence, an accident aboard a ship or other type of accident, call Russell & Hill today. 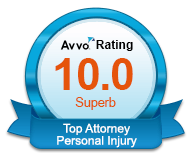 Our aggressive and experienced attorneys in Arlington will help you get the compensation you deserve. We also have expertise in Jones Act and Maritime Law, if you are a seaman of fisherman there are other benefits you are entitled to. Get started by filling out our personal injury evaluation form or call our offices toll-free at 888-997-3183. 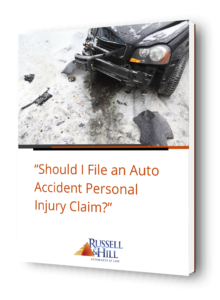 The personal injury attorneys at Russell & Hill, PLLC have represented thousands of victims throughout Washington and Oregon. We are dedicated to helping injured individuals and their families receive full and fair compensation for any accident. We understand how stressful the entire situation can be, and we know just how much an injury can affect all aspects of a victim’s life. If you find yourself in this situation, chances are you know exactly how difficult life becomes. Medical bills stack up, household chores become impossible, and you may not be able to work at all. Moreover, if your injuries prevent you from working, it is hard to make any headway on paying the hospital bills. Our attorneys are committed to getting you full compensation for all your losses and injuries, including lost wages, medical bills, and any future medical procedures. When we take on a case, our personal injury attorneys will work intimately with the client, leaving no stone unturned in the investigation of the cause, result, costs, and ultimately the losses caused by the accident. Since many personal injury cases are caused by the negligence of a third party, we know exactly how to break down the situation and construct a strong case. In addition to our attorneys’ legal knowledge and expertise, we often partner with professional scene reconstructionists in order to better understand the situation surrounding the accident. These experts help us examine evidence like property damage and skid marks to demonstrate exactly what happened and who caused the accident. We are also in contact with Arlington clients’ doctors, who can help explain the extent of their patient’s injuries and how the accident will affect them in the future. Finally, we work with vocational experts to determine how and if the injury will inhibit the client from working and providing for themselves. All this information is extremely valuable during the SSDI proceedings, and our attorneys know exactly how to build a convincing case. After a thorough investigation of your personal injury and compiling a strong case, we will actively pursue monetary compensation for all your losses and expenses caused by the injury. 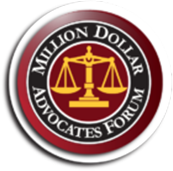 Many of our clients are able to recover monetary damages, and our team will work tirelessly to help you do the same. Our attorneys will negotiate directly with insurance companies for just compensation. We prepare every case to be successful at trial, and the insurance companies take this seriously. 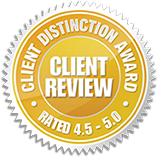 They know that we are aggressive trial attorneys who are more than capable of presenting our clients’ personal injury case to a jury—and win. In some cases, our negotiating procedures result in a fair settlement without trial, but either way, we work tirelessly to get you the compensation you need and deserve. Our attorneys are committed advocates who spend the necessary amount of time and energy to present a complete and convincing personal injury case. At Russell & Hill, PLLC, your physical, emotional, and financial comfort is our highest priority. If you or a loved one are suffering from a personal injury in Arlington, contact our offices today. Get a free personal injury evaluation by filling out our form, or call us toll-free at 888-379-9517 to arrange a free consultation.